Travelling to the USA? How do the NEW changes affect you? There are currently no changes to the standard visa waiver program – the changes will impact only a small number of our passengers. Anyone who is required to apply for a VISA will need to liaise with the United States embassy as normal. The above information is general and if you are unsure of your requirements please contact the United States Embassy to be certain. We hope everyone has had a well deserved break over Christmas and New Year! A great year ahead with lots of new musicals , international choreographers heading our way for some amazing workshops, new competitions……Time to start planning for the next year! Ever thought about organizing a Dance Tour for your Studio and thought it was all too hard??? 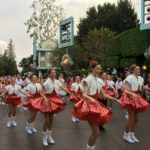 We have lots of performance opportunities from a Main Street Parade Disneyland, Madame Tussaud’s Hollywood, Citadel Outlets LA to Universal Studios Florida, Disneyland Hong Kong, Ocean Park, Westfield’s London and Disneyland Paris. Workshops at Broadway Dance Centre, Joffrey Ballet NY, Alvin Ailey, The Edge, ALDC LA, Millennium Dance Complex, Pineapple Studios London and Jean Wong’s Ballet Hong Kong. If you are looking for a professionally organised tour, tailored to your Studio please call us. LOS ANGELES, HOLLYWOOD, DISNEYLAND ANAHEIM, NEW YORK, WALT DISNEY WORLD FLORIDA, LAS VEGAS, LONDON, PARIS, HONG KONG, CHINA, SINGAPORE, CRUISES TO MEXICO, VIETNAM, BAHAMAS AND THE CARIBBEAN to name a few……. Initial meeting with the Studio Director to design your groups itinerary – we are very flexible with the itinerary content. Special costs available for Dance teachers .We recognise that you put together a fabulous show to take on tour ,organise costumes, rehearsal etc and should be rewarded. Fundraising Bonus voucher given to you when you deposit to assist with the purchase of your costumes or travelling uniform. We also have lots of Fundraising ideas and are happy to share our 3 page Fundraising flyer with you. Great office team on hand to answer any of the families queries and also to assist with any additional arrangements after the Dance Tour. 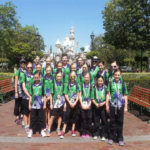 They have all travelled on our Dance Tours and can assist with any questions before or during the Tour your families may have. Pre-departure meeting at your Studio a few weeks before the Tour – you will also get to meet your Tour Director who will meet you at the Airport and travel with you managing the Tour on behalf of the Studio. Organising a Tour can increase business to your Studio. Most of the studios who have travelled with us have found dancers take more classes when they return from a tour and they have increased enrolment the year following the tour. 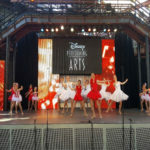 The Tour offers your students the opportunity to perform on the world stage and meet other dance students of a similar age from around the world – we have danced with studios from Canada, USA, Mexico, Japan, Hong Kong, UK, Ireland and France. We currently have costs up to February 2018 for most destinations. APRIL 2018 will be available SOON….